Hope you enjoyed my last post about the red white and blue decor from BHG@Walmart! Remember I’m giving away $100 dollars! Definitely worth checking out. Today I’m back on the blog focusing on the “new house” I’m looking for a couple of faucets for the kitchen sink! Like most new builds you get to pick out all the little details when it comes to your kitchen. Our builder had some GREAT selections but not THE selections that I wanted. You will find out that Reggie and I went standard on a lot of things. Mostly because it wasn’t EXACTLY what we wanted. We decided to upgrade the big stuff ( which I’ll talk more about later) and replace the standard options with all my loves. I say my because he doesn’t really care..haha! 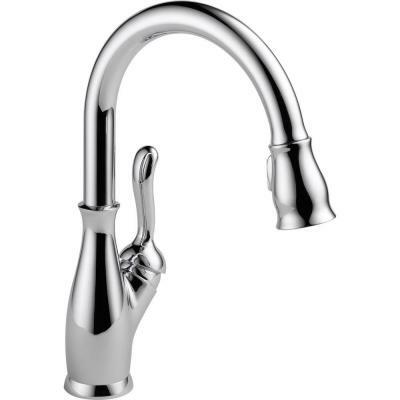 Our standard faucet in the kitchen is the Delta Leland. This will be on the main island and the prep island sink in chrome! I picked chrome finishes for everything. I think when it comes to my style, it’s timeless. You will find a pot filler above the range for, well, filling pots! ha Plus it’s great for tea and coffee. Instant hot water line. Then on the prep island I have a small prep sink with a faucet for chopping veggies and squeezing lemons :0) Just like this…. 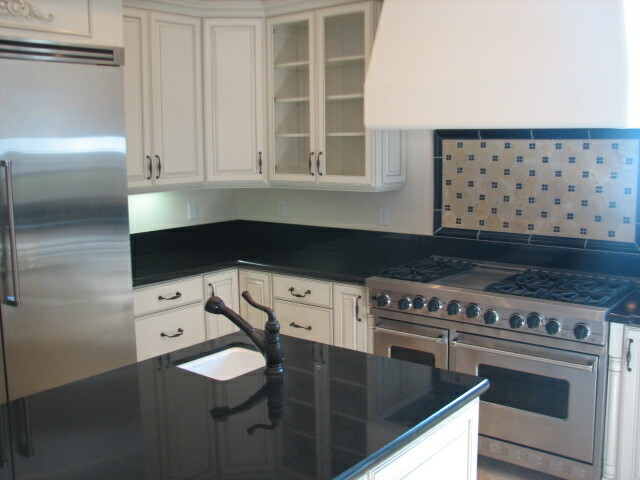 On the main island I have an apron front ( sorta modern looking) sink that holds the Delta Leland as well. It’s a GREAT faucet. 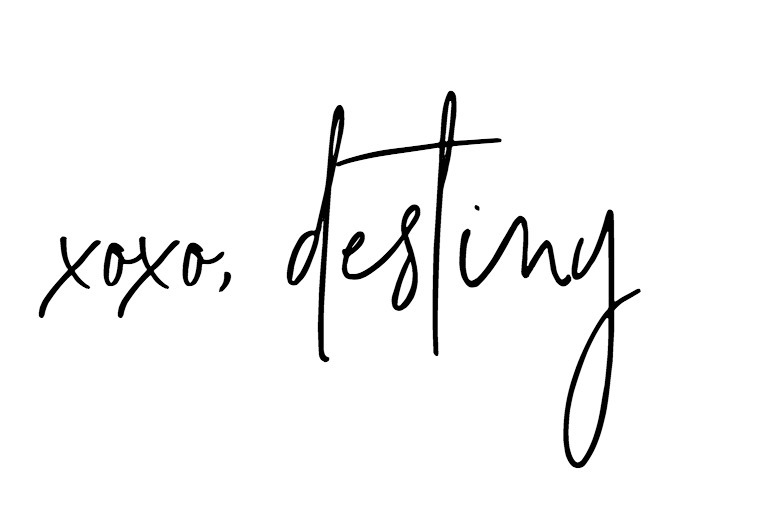 You know how much I love me some Delta. 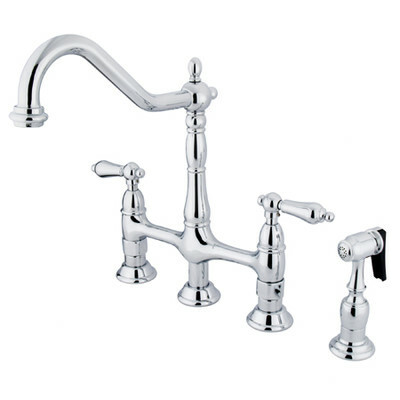 But I’m really wanting a bridge faucet with a sprayer. Delta no longer carries a true bridge faucet. But their designer line Brizo does, and it’s a beauty! I also have my eye on this one from Wayfair. In our last house I had the Delta Touch in the Cassidy model and it was AMAZING. Reggie and I always got a kick out of watching our guests figure it out. haha! I’m thinking this faucet might be a great option for the prep sink. But it may be a little to big. So I’m going to look at something that has a smaller profile but still sprays. 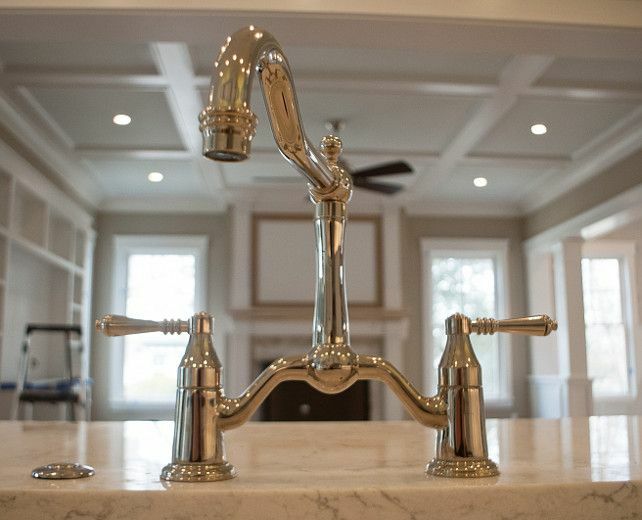 How does your kitchen faucet work? Bridge? Spray down? Reverse osmosis? I want to hear! Currently we have a regular one handle kitchen faucet with a sprayer on the side. 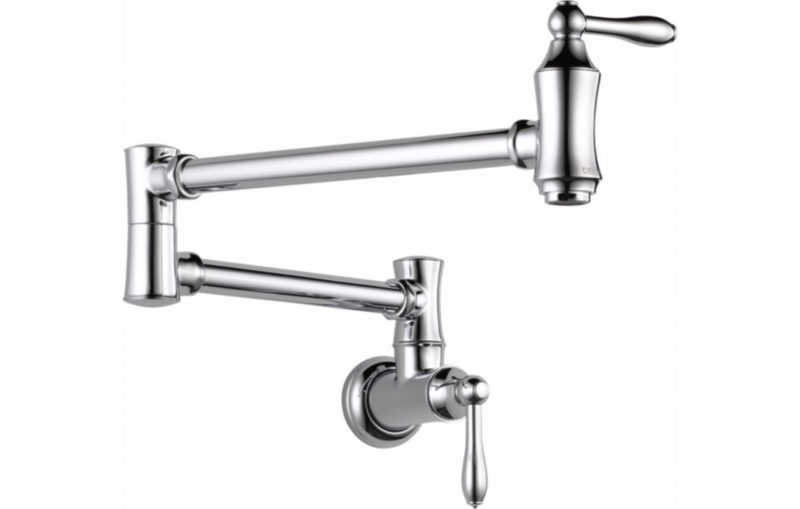 We are planning on a kitchen remodel and I’ve been in love with the Delta Cassidy pull down faucet w/touch. I’ve bought a 33″ single basin stainless steel sink. We hate our double one because it’s so shallow and can’t change out ours because of the concrete countertops. Hopefully we can start the remodel soon.